New product for “Muskie” rods! Now 6 “Muskie” size fishing rods in the new RS360 XL-6! In an attempt to be responsive to our customer’s needs, we are working on a rod holder version that will hold Crappie Rods 12 ft. to 14 ft. long. Stay tuned!! We will not disappoint! 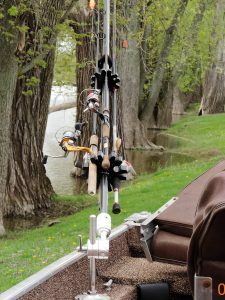 The Rod Select is a boat mounted fishing rod holder and storage system designed to be easily positioned to keep your fishing rods safe, yet easily accessible. 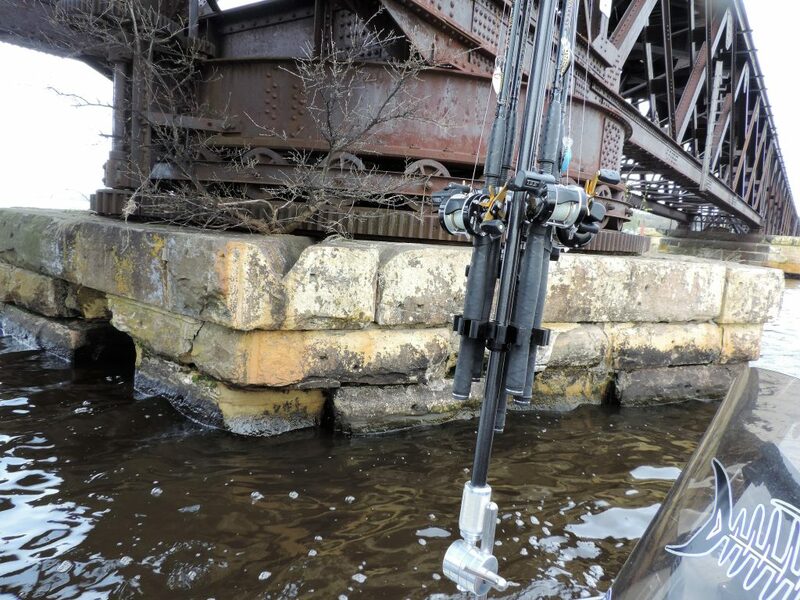 Depending upon the model chosen, the RS 360 holds 5 - 6 fishing rods and adjusts to many positions on your boat, fits in your storage locker, and easily disengages for off-boat rod storage. From pontoons to bass boats, this holder will keep your rods off the deck - providing important protection! Its durability and ease of use makes the RS 360 a must-have for every fisherman! Our RS 360 is an American - made product, built and assembled in northern Illinois.